Halloween was fun this year. 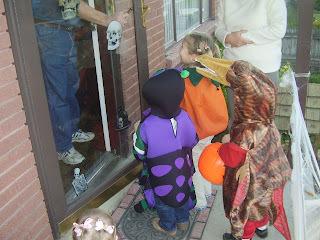 The kids were the perfect age to really "get" it and enjoy it. 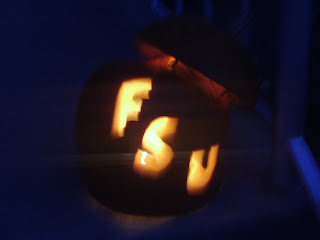 And of course there can't be Halloween without a Florida State pumkin. 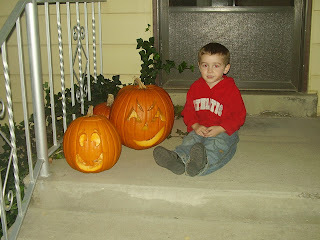 Peyton shows off the other pumkins we carved that year. 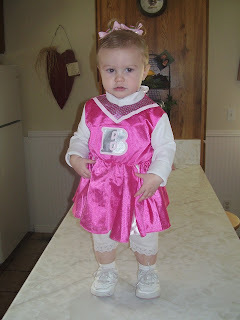 Lainey dressed as a cheerleader, and Peyton is a teradactyl.